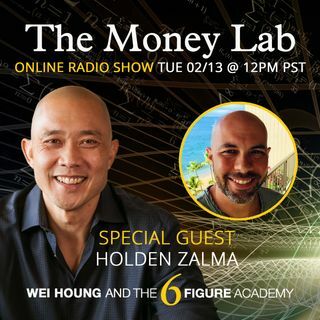 Joining us today is Holden Zalma founder of MetaTouch ( http://www.metatouch.com/ )Therapeutic Massage & Wellness Center in Culver City, CA. Holden began his career as an assistant athletic trainer at the University of Southern California (U.S.C. ), where he worked with the football, basketball, volleyball, and swimming teams. After completing a BA degree in Psychology with an emphasis in Physical Therapy from USC, Holden opened MetaTouch. Holden is considered a leader in his field and ... See More personally trains all MetaTouch therapists in the fascia shift method that he created. Holden focuses on finding the core of a person’s problem or pain. He discovered by looking at the client as a whole opposed to a bunch of individual parts he was able to relieve the superficial pain and the core issues. This allows lasting relief and increased quality of life. When Holden entered into the profession, he knew that there was a lot more than is usually portrayed behind massage therapy. He grew to understand that therapeutic massage is a unique form of healing that can treat the problems as opposed to just the symptoms, making it so people can feel better not only on the massage table, but long afterwards. Holden has frequently been called a “magician and a healer”, his ability to quickly recognize and correct most issues where others have failed, has led to clients coming from all over the world to seek his healing ability. Holden’s commitment is to provide the most convenient, effective, and professional massage therapy services to individuals and corporations as possible."